I'm taking a long ride this coming summer on my M8 Ultra Limited. The distance between gas stations could be a problem on some parts of the trip and I want to take along an extra gallon or two of gasoline on those parts of the trip. Rotopax and Gas Bag Fuel Safe Bladders are two possible solutions. Looks like either could fit on the topcase luggage rack. I'd appreciate advice from anyone who has carried along extra fuel. Thanks. 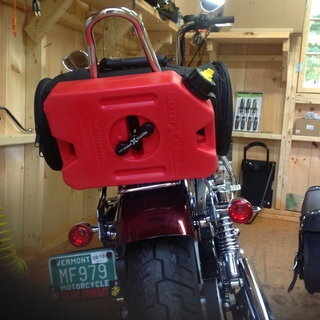 I carry (1) or (2) Reda Innovations saddlebag gas can on trips where gas stations are far and few in between. I fill gas can not quite to the top and I place a ziplock bag over cap and threads and lock down tight. No Spills no gas smell in bags. Disclaimer ... I don't have one, so I can't give you any feedback, but the idea strikes me as genius. Last edited by SoGA; 02-11-2019 at 12:01 PM. Issue is they are only a gallon each. They fit down inside the saddle bags in the back angled area. That above jug fits the saddle bag at rear, works Purrfect. It comes with a large freezer bag of sorts so as to lock it tight too. Mine has been to Sturgis and everywhere, never a problem. RotoPax's GasFlask is designed for this task; it has a spring-loaded hook to latch onto a luggage rack on top of your TourPak. 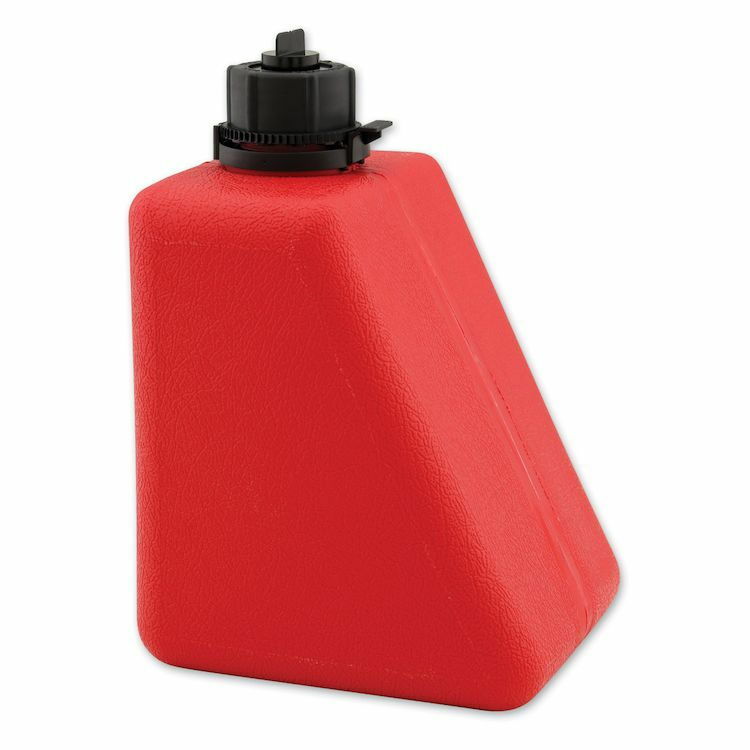 It's only 1.25 gallons, so it's not huge, but it won't take up any room in your saddlebags, won't make anything smell of gas, etc. It's pricey for a gas can though, RotoPax's site asks $100 for them. I found mine on ebay for $80, looks like they're still available. for long trips. AAA card is enough protection for me everyday or weekend riding. I have never had to use it, but it has gotten a friend or two to the gas station from the side of the road.